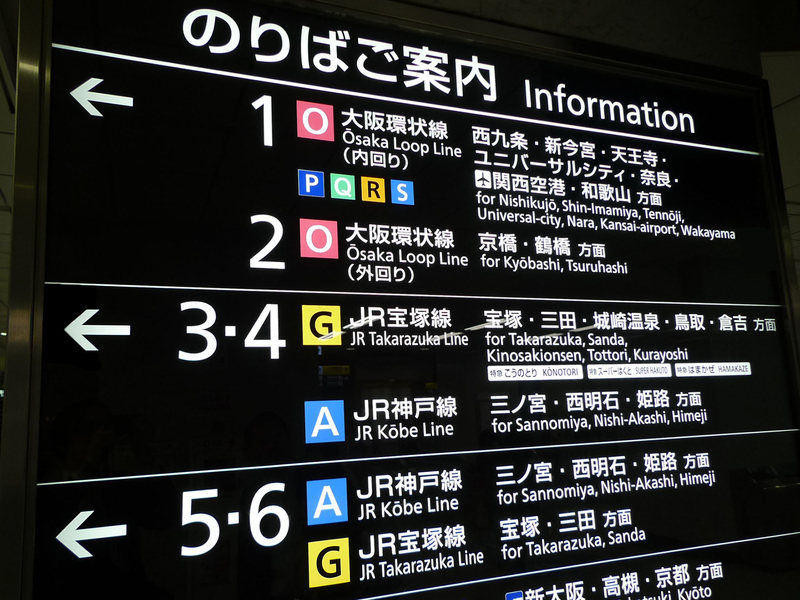 Railways | i Design inc.
JR Osaka station renewed all station signs according to the building facilities renovation. 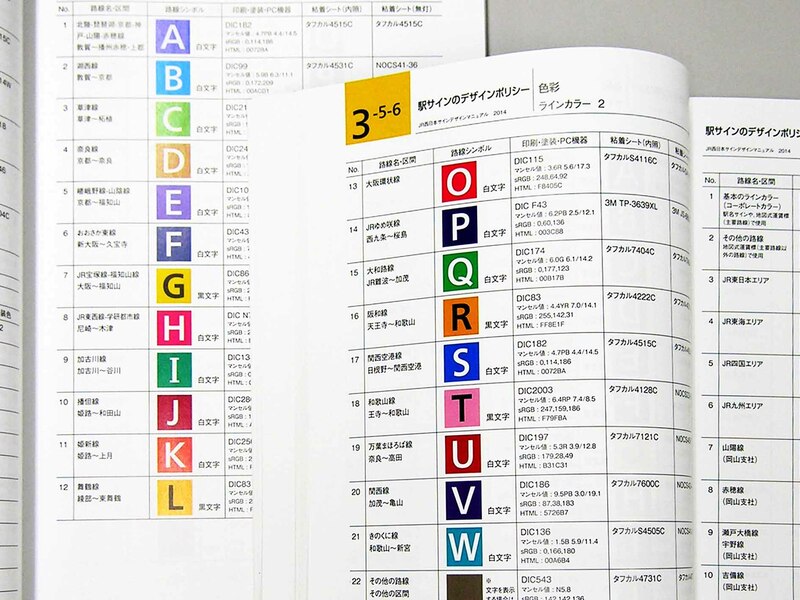 The new challenges were that, colored Line Symbols were applied to all signs inside of the ticket gate, and the new character ratio of Japanese to English was adapted with new fonts to fit the revised sign guideline. 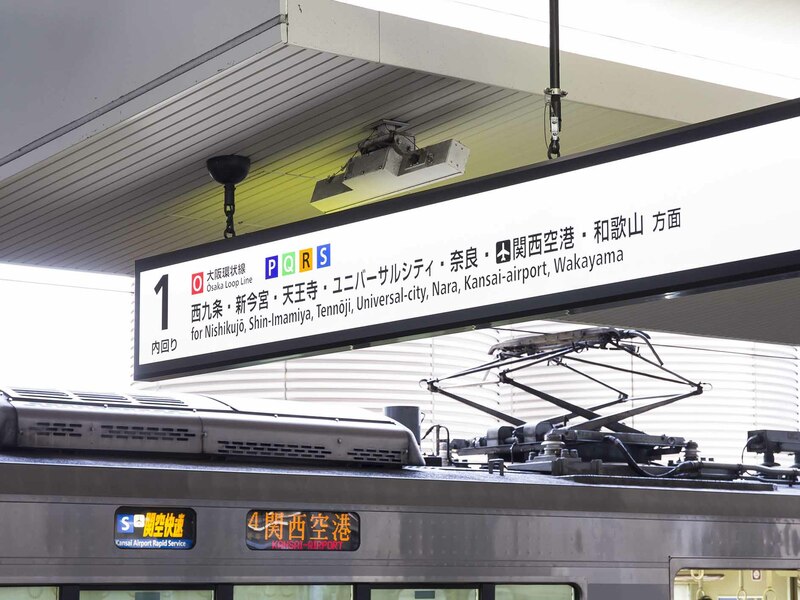 JR Tokai Shinkansen full color LED display system "2003 Good design awards"